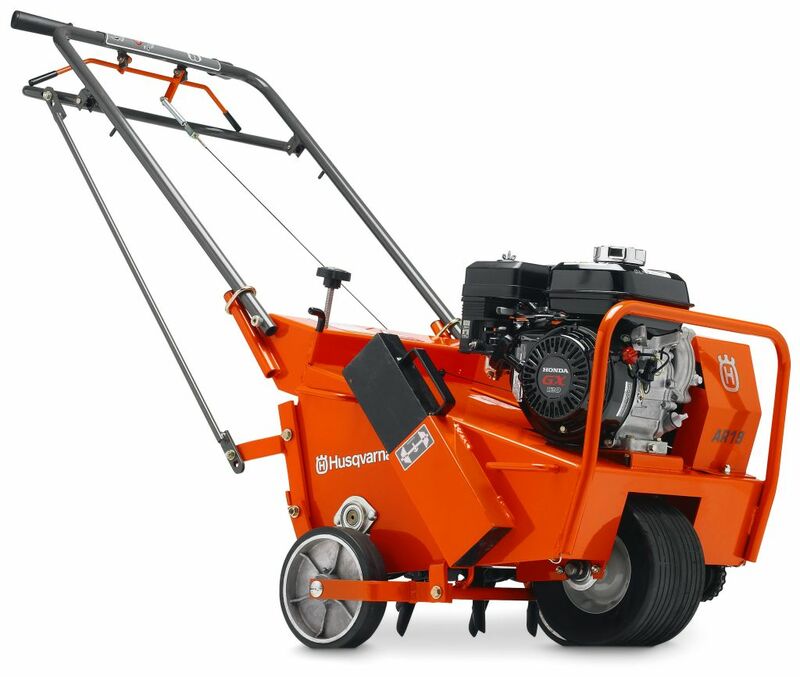 Husqvarna AR19 Gas-powered, walk behind aerator with 19" wide path. *Weighs 288lbs! WALTERS EQUIPMENT does offer trailer rentals. 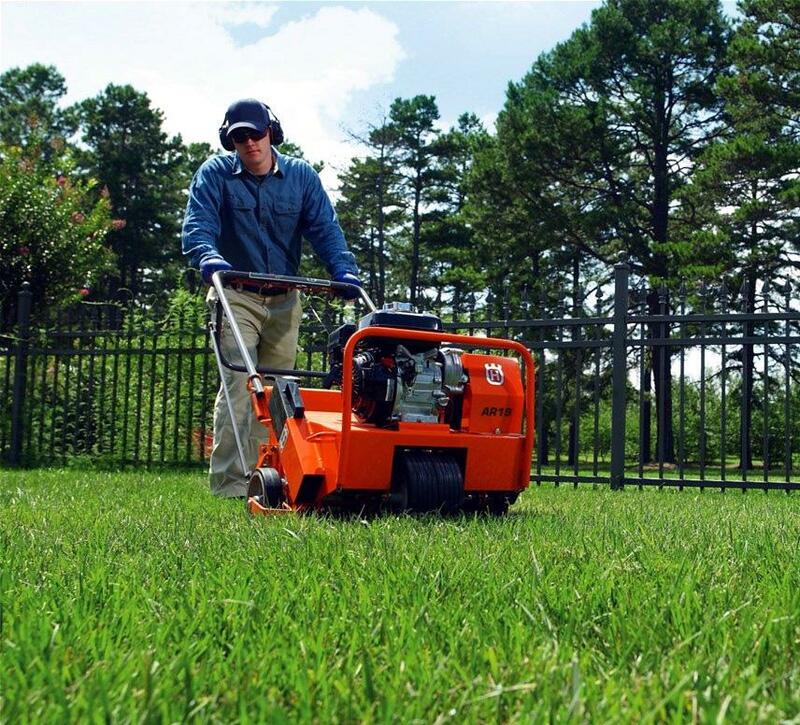 Soil compaction is typically cause by heavy foot traffic (including lawn mowers). The dirt is forced together reducing the area for roots to grow and limiting the amount of air, water and nutrients that reach the soil. 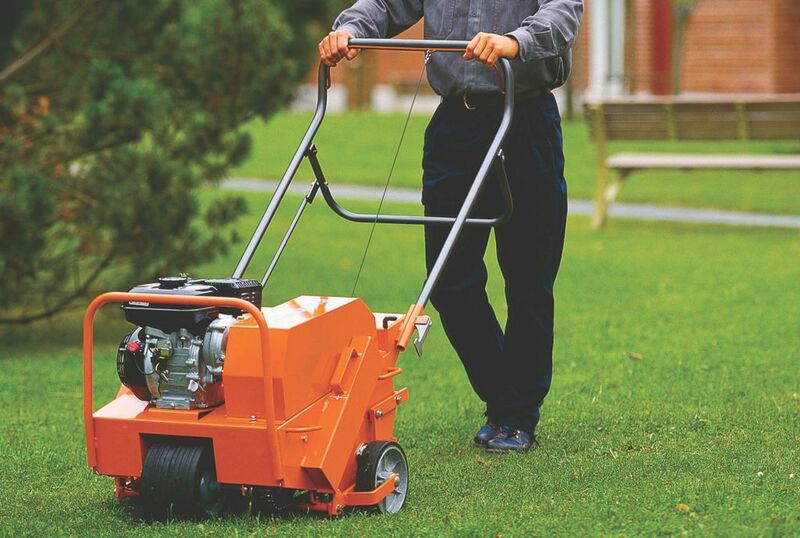 Husqvarna aerators remove evenly spaced cores of turf giving roots the space they need to grow and produce a lawn that is lush, healthy and better equipped to tolerate drought. Husqvarna's handy and efficient hollow tine aerators are self-propelled and feature free-wheeling outer tines for better maneuverability around corners and tight areas with less turf damage. Removable side weight offer optimal soil penetration and balance for easier slope penetration. A folding handle, lift handles, and a semi-pneumatic front tire allow for easy transport and storage.